Tasting Notes: This wine is bursting with aromas of red cherries, raspberries and Turkish delight. The palate is vibrant, fresh, textural and displays a combination of mixed berries, Musk and fresh fruit salad. This is balanced with crisp acidity and a dry finish. Food Matches: This wine is best served chilled as an aperitif or alternatively would perfectly accompany a variety of Thai, Indian and Middle Eastern food. Received a Bronze Medal at the Adelaide Hills Wine Show 2018. Winemakers Notes: Woodside, located in the eastern region of the Adelaide Hills produces ideal climatic conditions for the production of premium Pinot Rose’. This wine has been handcrafted in an old world savoury style while maintaining a vibrant fruit core. After harvesting certain parcels of Pinot Noir for Rose the fruit was crushed and the free run juice was kept on skins in tank for 24 hours before being run off, chilled and fermented at low temperatures to retain maximum flavours and aromatics. After fermentation the separate parcels were racked, cold stabilised and undertook small amounts of fining and filtering. A smaller parcel of a combination of Syrah, Merlot, cabernet and Sangiovese were hand harvested and crushed into older oak where it was fermented naturally and left on lees for 3 months. 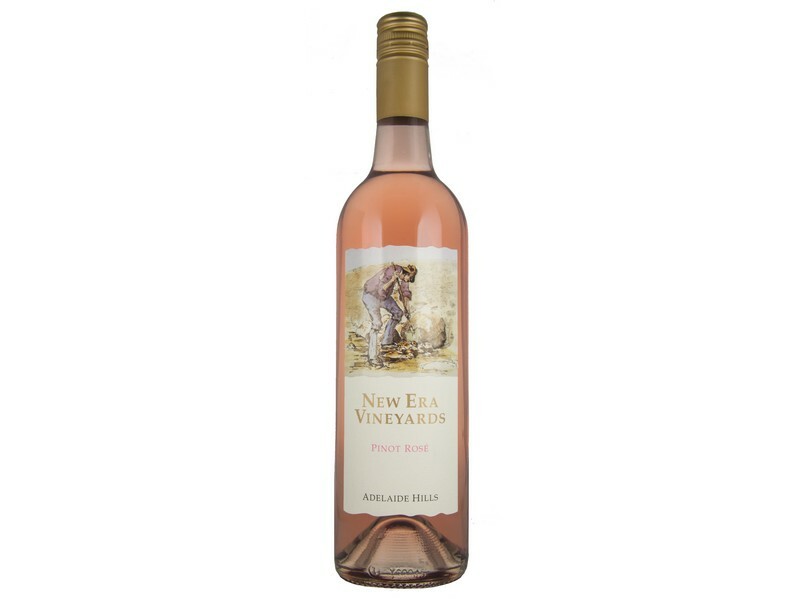 Each parcel was then accessed and blended together; after trialling and evaluation a choice of a combination of mainly Pinot Noir and smaller volumes of the oak fermented parcel were selected for the New Era 2018 Rose.